How, when, and why you should release animals back to the jungle. After you already gain the first level of animal condition/trust you will be able to release an animal back to wild. The higher level of animal trust while releasing will grant you more rewards. So you need to choose the moment when you release an animal wisely. For instance, if you are filling trust bar of rare animal for some time now and you spend a big amount of resources to reach level 2. Then the better is to wait a while reach this level and then release an animal in order to gain more rewards. All animals which where rise by us have this unique bound with us. We wanted to recreate this fact in our game this is why when you raise an animal in your animal playground and give it a name from that moment this animal is bound with you. Even after you will release this animal back to jungle without putting animal GPS on it. There is a chance that exactly the same animal will come back to you in a moment of distress. Animals like that will keep their level and you will be able to increase their trust even further. Releasing animals is the main way to gain experience in the game besides quests. Animal rarity has drastically increase the amount of experience gained every animal trust level. Same as with experience the more rare animal and the higher level it has while releasing it grants you higher reward. 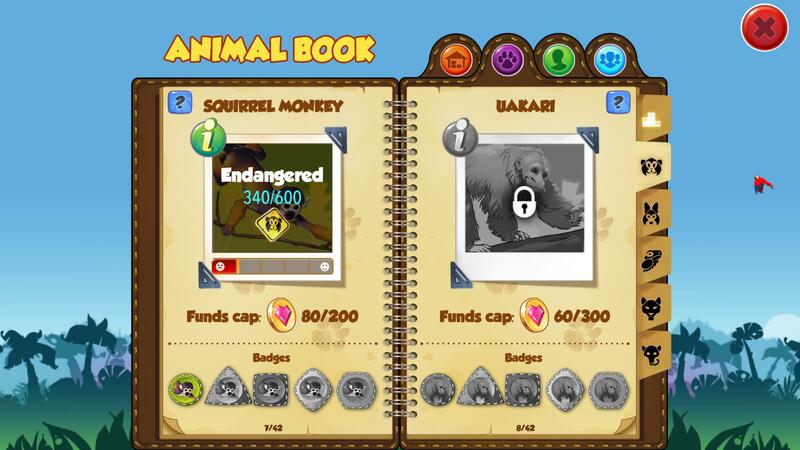 Animal lore is a special resource which you gather in order to unlock animal articles. 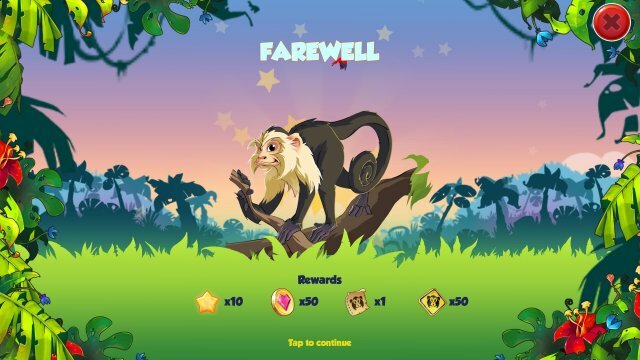 Each species have its own animal lore resource and each animal has 5 different articles which you can unlock and read interesting facts about amazon animals. Those points are special resources which decrease this particular species extinction matter. 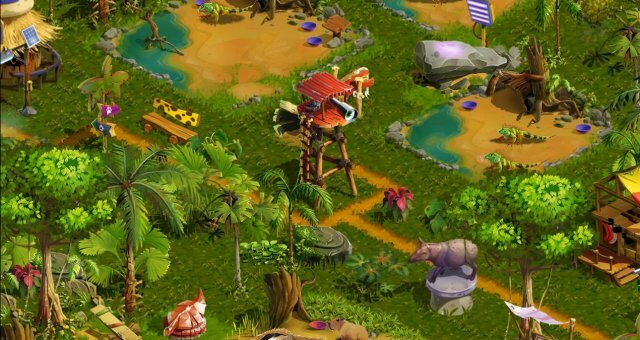 While this extinction matter rises you will receive more funding per specific species in your camp. You can check what is your current animal population in Animal Book. All species have their own pages where you can check on which level they are now and how much population points you need in order to reach next extinction level. Extinction levels are directly related to Funds caps. So higher population then higher funds cap you receive for species. Written by Taploft sp. z o.o..